My head is full of new caravan facts. 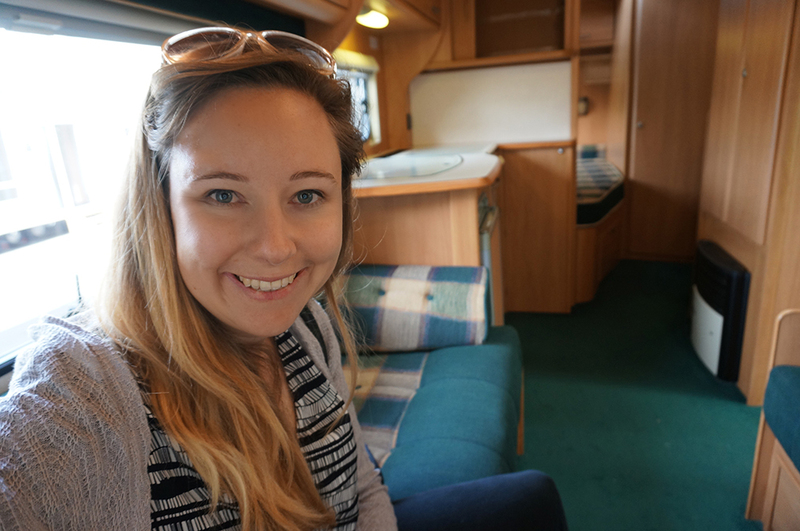 I visited a friendly caravan dealer and went to a RV store to look at all the accessories. Exciting news – I found a caravan I could picture living in! I’m not quite at the stage of buying, but great to know they exist. I’ve decided to go for the fixed bed after-all… otherwise I know I’ll get lazy with changing the lounge into a bed every night. This means I’ll need to go for a slightly older model to still be affordable. You do get hot showers! The fresh water and waste water containers sit outside the caravan when parked. Fridges generally run on gas and power, so you won’t get sour milk. You need to make sure the caravan is level, otherwise the fridge doesn’t work. 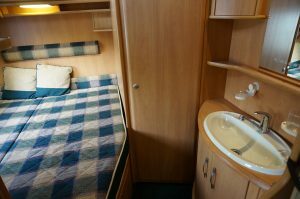 The caravans newer than 2003 have removable carpet for easy cleaning. There is friendly rivalry between motorhome and caravan owners. You can get a lock on either the tow bar or wheel to stop people stealing your caravan! There are tablets for the toilet so you aren’t grossed out by the smell when emptying it. You can only use certain toilet paper that breaks down easily. The caravan dealer told me stories of two girls living in a caravan for two years so far while building a house and they are having no issues. Of another man basically living permanently at a campground nearby. He was selling me the dream of living at the beach in Orewa but taking the bus into town from Albany. The South African lady at the RV retail store showed me what I’ll need when I first buy the caravan. On the list are toilet tablets, wheel levels, lock for the tow ball, power adapter from caravan to house and towing mirrors to see what’s happening behind me. 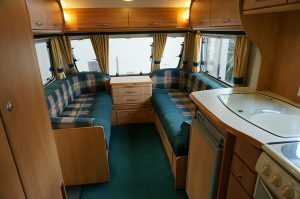 She told me that caravans are great if you plan to stay in one place for longer periods of time, as you can drive off in your vehicle and don’t need to secure all your home-ware every trip. How will I have good internet? Dongle? Satellite? From backpacking experience, I know not to rely on the campgrounds wifi. Is it best to get a stove top kettle? What about a toaster? Love my tea and toast! How easy is it to turn the caravan when disconnected from the vehicle? I’m hoping the answer is ‘very easy’. Upgrade to a towing car – had a look at a possibility tonight. Practice with towing a trailer. Return a motorhome rental from Auckland to Queenstown and check out all the caravan retailers along the way. There are a huge amount of them in the south island. And I’ll be able to scope out the campgrounds too. Overall feeling that my plan is taking shape. I find it interesting that the people I talk to about this plan generally fall into two categories. Either wishing they could do it themselves and curious to see how it goes, or confused about the whole idea and wondering why I’m even considering it. What category are you? Any advice or tips? Please leave a comment!